Retrieve demo data such as match score, players information, rounds details... As this process may take times, data are stored in cache so you don't have to regenerate it. Add multiple demos folders location to organise as you want your demos. You are able to navigate between them or display all demos from all folders. Add a comment and a status (to watch, watched...) for each demo. Watch demos in one click. You are also able to watch demos at specific round, kill, stuff or tick. Watch your best actions or your worst from your or enemies POV. It may help you to improve and understand your mistakes. Find quickly all stuffs (smokes, flashbangs, HE grenades, molotovs / incendiaries and decoys) that has been thrown during a match. 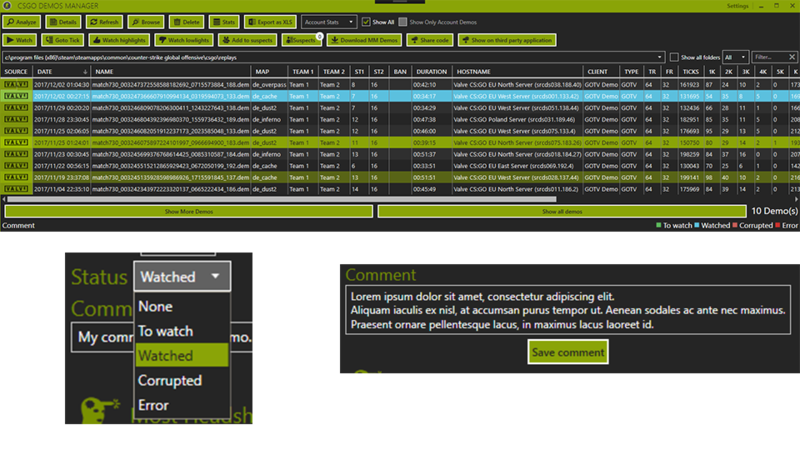 If you are a moviemaker, you can watch your demos with the integration of HLAE. Stats such as rank evolution, kills average, headshots percentage, match win average... are rendered on graphs. 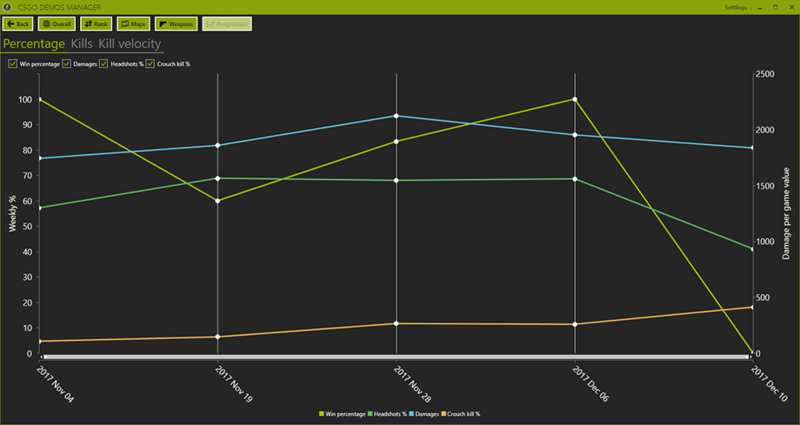 This stats are displayed weekly, don't forget to download each demos to avoid wrong stats. If you have multiple account or you want to see stats from others player, you are able to add accounts (identified by Steam ID) and display stats only for a particular one. 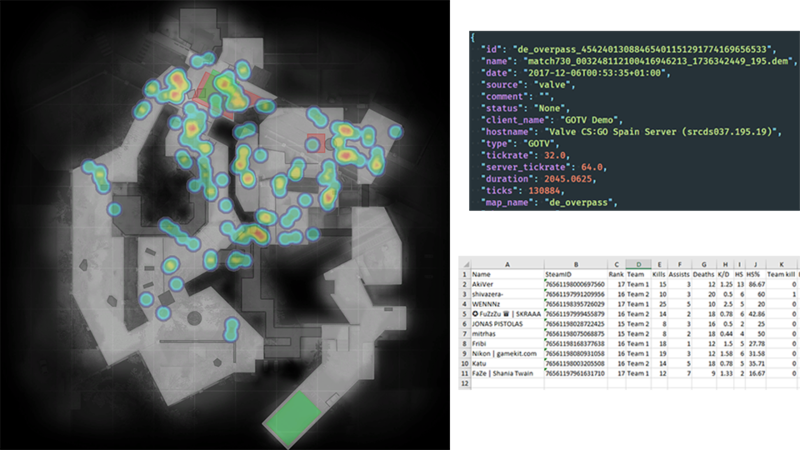 Heatmap allow you to see where specific events happened (kills, nades throws...). You are able to export it into a .png file. Export demos data to Excel file (.xls). Data are grouped in multiple sheets. Most of the graphs are exportable as a PNG file. If you need your demos data to use it in an external tool, you can export it as a JSON file. Download your last matchmaking demos directly from the app. A notification is sent every time CSGO is closed to invite you to download your last demos. Download demo from its share code or send it to a third parties application. Keep track of players that you suspected of cheating by adding them in the "Supects list". 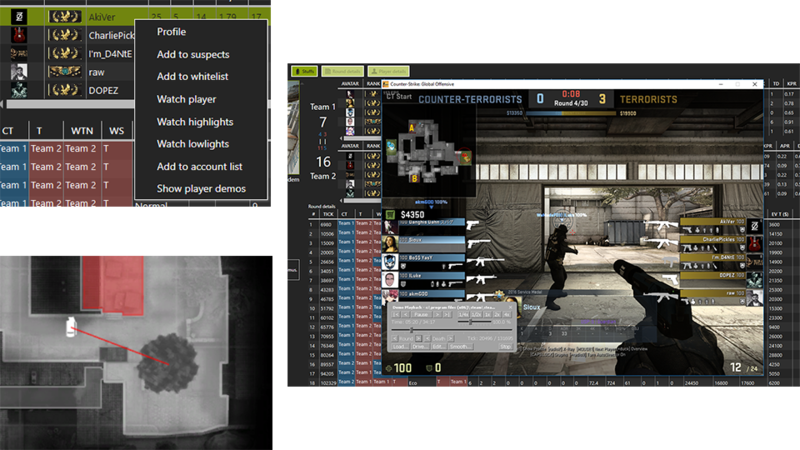 CSGO Demos Manager include a BOT that check in background if a suspect has been banned and send Windows notifications if it's the case. Open .dem files from Windows explorer. The application is available in multiple languages. If you want to contribute into its internationalization, feel free to check the how-to on GitHub. Source code available on GitHub under GPL-2.0 license.